I was writing a post about nuclear energy when an environmental accident happened in British Columbia, Canada. So I decided to postpone for one more week the nuclear energy post to make a comment about the accident. First this is what happened. In 04/08/2014 a copper-gold mine wastewater spilled into creeks, lakes, and flowed into central B.C. river systems. Debris and effluent flowed into a lake from the tailings pond, where waste from the mine’s chemical and mechanical operations was being stored. The wastewater and tailings sediments has contaminated several lakes, creeks and rivers in the region. Approximately 10 billion litres of water and 4.5 million cubic metres of metals-laden fine sand has been released. This is so big that I can’t even pay attention on the numbers. Because of that, a complete water ban has been issued for the interior community of BC. Therefore, the water is not appropriate for drink, swim, etc. .. the tailings are not acid-generating and the water is alkaline with a pH of roughly 8.5, but it could not confirm the exact quantity and composition of the discharged wastewater. Honestly a statement like “tailings are not acid-generating…” is ridiculous. On the next day dead fish and devastation were spotted in the region. 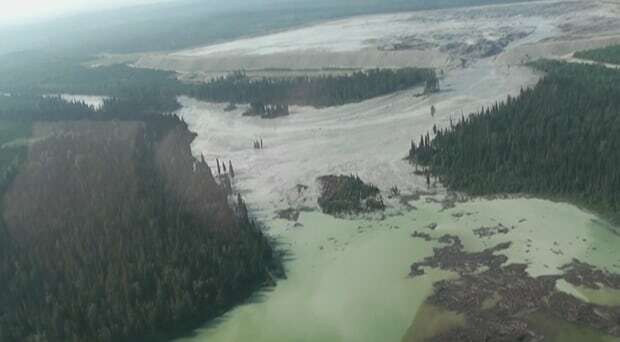 It is only the beginning because Mount Polley mine tailings pond breach followed years of government warnings. They had 5 warnings in 14 inspections. What???? No, not in Canada, a first world developed country. But Indeed, it is true. Negligence? Inaction? Is It really hard to explain. Well, disasters like these often spawn comments calling for the immediate shutdown of all mines, forestry and industry. Is it the solution? Just, remember, in general we need the products that the raw materials from these industries provide to manufacture computers, tvs, cellphones, tablets, cars, etc. Also they provide employment, revenue and taxes that pay for the majority of health care and education. Ops, this is getting complicated. To find solutions for the problem is not really easy because the governments are dependent of these industries and vice-verse. However i have a theory. My theory is recycle more and waste less (???). Well, but think about it. I blogged before about waste and consumption.These companies are necessary because our lifestyle. Would you give up of your actual lifestyle? Should we revert to a simple life of ride horses? How about eat fruits and share fish with the bears? I doubt it. However these companies are driven by demand and supply. If we start to recycle more and waste less the demand will decrease, so some of the companies won’t be more necessary. Ok if the population doesn’t grow, etc, etc, remember the problem is not that simple. Do you remember that old computer sitting on the garage? Or that old cellphone? I can guarantee that both have some amount of the same material that is byproduct of Mount polley mine. I know, the amount are really small, but normally these products go to normal garbage to be buried or burned. That is the part which doesn’t make sense to me. Why burn something that can be used again? How about the jobs, revenues, taxes? I think this could be re-allocated to recycling companies, or companies that recycling our waste. It is only a theory. Far from the truth. We have to be realistic and accept that we live in a waste culture. Unfortunately, I believe that zero waste is not possible, but I also believe that we can reduce the waste drastically and respect more the environment. These are small steps but with big consequences.